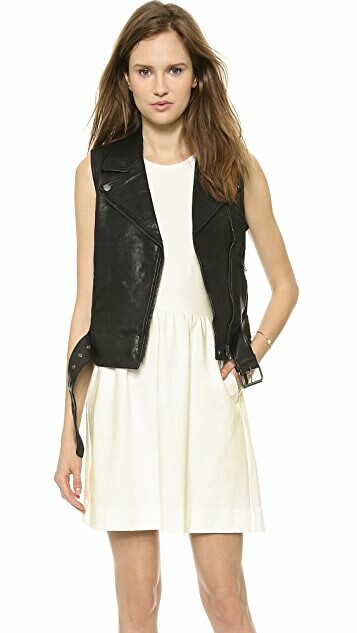 This washed leather Madewell moto vest is lightly tailored for a feminine fit. 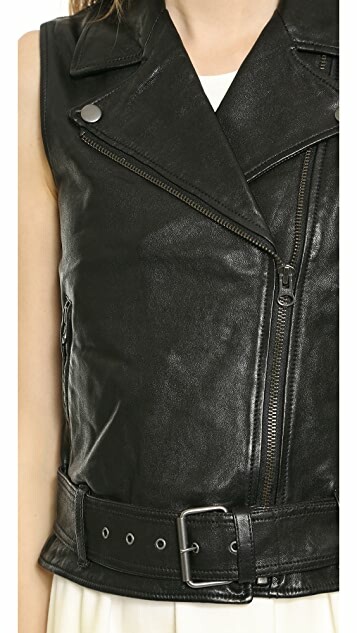 Notched lapels frame the off-center zip placket, and covered zips close the hip pockets. 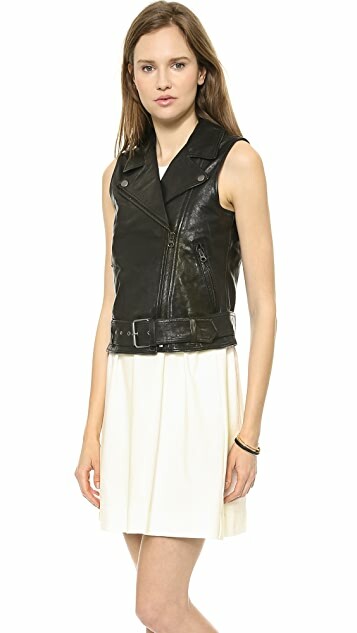 An optional belt accents the waist, which is detailed with concealed zip vents. Lined.